Custom dress shirt were considered to be for the privileged, and well-off individuals. They added a dapper touch of style to the elite on Wall Street, certain celebrities, and others who were able to afford such a luxury. To us whether you fit into those categories or not shouldn’t dictate what clothing you have the ability to purchase and wear, and that’s precisely where iTailor comes in. We have been creating men’s tailored goods since 1971, since that time many changes have taken place in our industry. Our goal however, has not. Our entire purpose is to provide the highest quality tailor-made clothing, with limitless options, at the most economical prices. That being said, we would like to cover what we feel we’ve seen to be the 5 main advantages of wearing our custom dress shirts. We highlight this because it is usually a large part in the buying cycle of anything these days. Throw the old thought that custom wear is only for the well-off out the door because our world renowned men’s custom dress shirts range from $24.95 – $69.95. This comes with the choice of nearly 500 fabric choices, contrast fabrics for cuffs, collars and sleeves, monogramming, and many other unprecedented design features. That’s a price you can hardly find for ready to wear/off the rack shirts that won’t fit you half as well, let alone match our quality craftsmanship. We are the epitome of Made-To-Measure and pride ourselves on our tailoring heritage to offer custom-made choices and fitting – i.e. garments specifically tailored only for you. This arguably could be listed first but either way you look at it, fit is basically the reason anyone looks into custom clothing. If you’ve never gone this route before don’t worry we have step by step instructional videos not only on our site, but also on our YouTube channel on how to measure yourself at home. We also have options for choosing standardized sizing like small, medium, large, etc. for those who really only want to custom “design” their custom dress shirts. At iTailor design-ability is key. Our focus has always been to give you the most design options possible when creating your custom dress shirts. It is impossible to mention them all, as the design combinations are limitless. 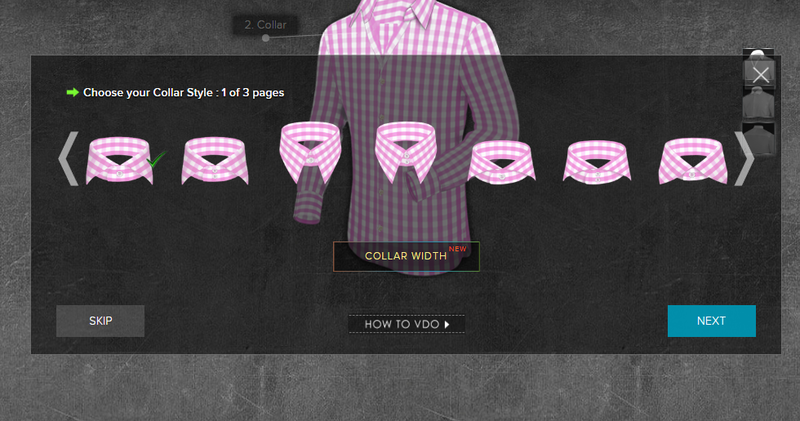 You can choose from nearly 500 fabrics, 13 different collar styles (spread, cutaway, button-down,etc. ), you can change your sleeve fabrics, buttons, button thread color, pockets, the details on your back and much more. Our design options are countless and when you couple this with the fit, price, and quality we offer, our shirts are truly second to none. For many men, Custom Dress Shirts are all about style. From the customization that is available in our 3D PRO designer it’s actually quite difficult to argue that point. From multiple collar choices to shirt bottoms, cuffs, fabrics, threads, etc. we know many are building a complete work of art. Perhaps you noticed a specific pattern at Nordstrom’s or Macy’s that was three times the price, not custom fitted and off the rack. We ask the question why pay three times the price for a lack in fit, when you can design the style of the shirt exactly as you desire, have it custom tailored to your bodies specific measurements, and spend less? When it all boils down, what does custom clothing give you? It gives you a look that is like no other. Stand-alone unique style that was custom designed by you and custom fitted for you. If you want a better idea of what iTailor custom dress shirts look like in real life do yourself a favor and take a 5 minute look here. So that’s it for this week, if you liked what you read or have any questions, please feel free to let us know and comment below! 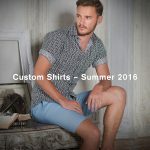 If you’d like to design your very own custom dress shirts from nearly 500 fabric options click here and start designing today! Don’t forget to subscribe to our newsletter below for free company updates and our weekly sales on custom shirts, suits, luxury designer shoes, and more!